It never fails. Every day since the Republican National Convention, my Facebook newsfeed has someone talking about the election in some capacity. Whether it’s a link to Samuel L. Jackson’s controversial ad for Obama encouraging everyone to wake up and vote, or a picture of Mr. Obama’s backside and a caption reading, “I’ve got my president’s back,” or some word of praise about Michelle Obama’s sophistication, or even a witty picture/quote pointing out an example of Mitt Romney’s so-called ill-qualifications, more than several of my Facebook friends are expressing their ideas about the upcoming election. As you may imagine, the majority of them will vote. Interestingly, someone’s status update recently provoked me to write my thoughts about voting. It said something like: “If I ever hear a pastor encourage people not to vote from a platform, that would be my last time at that church.” And while I understand and respect her sentiment, I don’t understand or respect dismissing people who choose not to vote without exploring their opinions. Since I have had such thoughts before, and am leaning toward not voting myself, l decided to explore them a little more fully. If you want your voice heard in a political setting, voting is the way to do it. Instead of complaining to people who have no power to address your issues, every four years or every two years, you can express you contentment or discontentment with elected officials by voting for them into office or voting them out of office. The vote is one of the main ways everyday citizens can be heard. Especially relevant to African Americans whose history includes people being denied their basic rights of citizenship, voting becomes a moral responsibility—a way to express gratitude for the sacrifices of our forebears and ancestors. 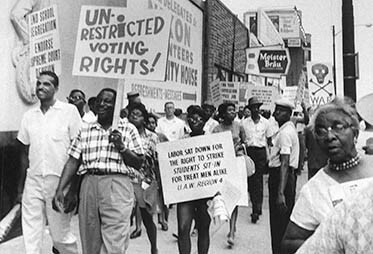 Many put their lives on the line for the right to vote and were rewarded with death. The least we could do is register and go to the polls. A study was recently released documenting how the number of registered voters in Chicago has drastically plummeted since 2008. Although Chicago (and an overwhelming majority of Americans) were excited about Obama’s historic run, I don’t believe the aforementioned reasons are sufficient enough to keep people enthusiastic about voting in this upcoming election. And though I don’t profess to know why people are not voting, I can imagine they feel similar to me: disenchanted because of the reasons I will mention below, or because the affect of the Obama Kool-Aid has worn off (probably a combination of both). No. I haven’t completely made up my mind about not voting, but here are a few of the reasons why I am leaning toward not voting. When I first heard this quote sometime in graduate school, I had to read it a couple of times before it really clicked. But when it did, I was changed. Putting aside your personal feelings about Stalin and his philosophies, it is difficult to deny the truth of his quotation. There is, indeed, a veil between the voters and the declaration of the outcome of the election. That buffer is the counting process. It seems pretty flawless. If people can be persuaded to vote and then agitate the outcome to the favor of a predetermined candidate, the voters will have no idea of the corruption. They will go along with results because they have faith in the system. 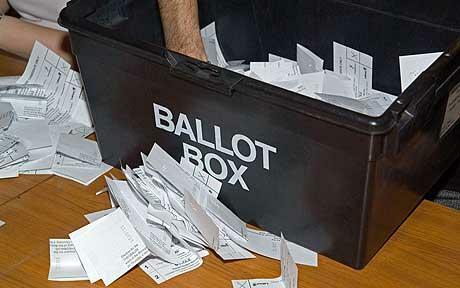 It’s interesting, people suspect cheating via counting in elections in high school, civic organizations, American Idol, and even churches who vote their pastors in and out, but the same suspicion appears to be absent in the people’s mind concerning the election of President of the United States and other local and national political offices. Funny clip. But there is a message above that should not be overlooked. Electronic voting machines, though said to be more proficient, have the capability to swing elections. But don’t take my word for it; listen to a public testimony from a programmer who created a program that could fix an election. In his testimony, he talked about the importance of receiving a receipt upon voting on an electronic voting machine. “When I voted in 2008 on one of these machines in Indiana, I asked for a receipt and was told they didn’t give any out. I was encouraged to trust the accuracy of these machines that “nullify” the human error factor.” Knowing that the digital gas pumps are rigged, digital thermometers have been inaccurate, and digital scales just plain wrong (according to some women I know), I just shook my head and left wearing my “I voted” sticker. Since 1913 politics and politicians have been compromised. As we should know, The Federal Reserve is not federal at all. It is a privately owned corporation that operates independently of the government. As you research the Federal Reserve System, you will find that the bank creates our currency (Federal Reserve Notes) and that your and my income taxes go to the owners of the bank. This is relevant because the Federal Reserve loans money to the American government and the American people pay back the loans with interest (unconstitutional income tax). “Give me control over a nation’s currency and I care not who makes its laws” (Baron Mayer Amschel Rothschild). In summary, the president serves the Federal Reserve. As I see it, that drastically conflicts with serving the people. The Federal Reserve has controlled every president since 1913. And the ones who have gone against the directives of the banking elite have been assassinated. So when I hear all of the many things “Obama has done” in his first four years touted as reasons he should be reelected, I get annoyed. Regardless, however, of the laundry list of successes or failures we attribute to Obama’s administration, I think acknowledging Obama with the credit is superficial. 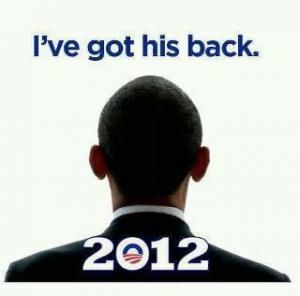 I sincerely believe that Obama (and any other president for that matter) makes no real decisions. The president is a parrot—repeating what he is told to say, and a puppet—doing what he is told to do. Whether the puppet tricks or treats, kisses or kicks, intelligent people direct their response of the puppet’s action to the puppet master. Don’t be confused, however. Puppets can puppet. In such a complex society, it shouldn’t be a surprise to find that puppets themselves can occupy the second and third tiers of the show. If you want to see the mind that facilitates the action, follow the strings—all of them. In my opinion, coverage of campaigns before a major election is a huge distraction. The debates, news commentary, and commercials play on the emotional aspect of voters, getting them excited about irrelevant issues that have little to do with real decisions that affect citizens. In every election, issues related to Christianity (religion), abortion, homosexuality, gas prices, education, rights of illegal immigrants, etc. come up. The politicians give their usual campaign rhetoric about the matter, then the people who feel affiliated with a particular perspective vote en masse to support the candidate who professes to support the cause they are most passionate about. This bothers me because it makes me feel like I am being played with. Many promises are made. Few are kept. 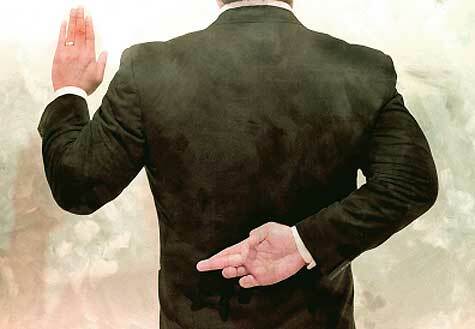 I feel that the politician is fully aware of his impotence related to keeping promises. He is told to do or say whatever necessary to appeal to the masses. That way, whatever story is spun, the people will believe it. I am uninterested in being toyed with. I also uninterested in being promised something by someone who has no intentions on keeping the promise and/or no power to deliver it. The main reason I voted in 2008 was because I was advised not to complain about the state of the union if I didn’t vote. You may have heard the argument that if you don’t vote, you essentially subscribe to whatever the outcome is, and therefore can’t complain. As a former complainer who wanted the space and place to complain, I decided to vote. After I voted, however, I thought about how I still couldn’t complain if my candidate didn’t win. If you vote, and your candidate doesn’t win, you can’t complain either because the process is such that your candidate may not win. He or she did not get enough support… the system works…so try again next time. The way I see it, this cannot be the only way to express one’s discontentment with political matters. There have to be ways, in the meantime, to have one’s voice heard. Unfortunately, this is where Black people, in my view, have been stuck for the past number of years. We have participated in the system and have patiently endured the suffering that ensued from a decision we didn’t support or legislation handed down by a candidate we didn’t vote for. And we have also waited another four years to see which of several candidates would be the “least evil” to replace the one with which we are currently dissatisfied. Why are we so content with voting for the poison that will kill us the slowest? This is one of the reasons I supported the recent teacher’s strike in Chicago. They had been lied to for years and years and finally acted in a spirit of unity to express their frustration with false hope and empty promises. I feel that it is past time that we, as an American people, found other ways to make our voices heard in this society. Voting is NOT, despite popular opinion, the only way to express one’s voice. I lean toward not voting because voting makes us more likely to accept the status quo and go along with whatever happens during an administration. The vote has put us in a position of passivity. We are not complaining as much. We are not complaining loud enough… we are too compliant. 5. Our ancestors fought for our right to choose. I may get in trouble for this one, but people who say that our ancestors died that we may have the right to vote, or the right to sit in the front of the bus, or the right to eat in a segregated restaurant or sit beside white people in a waiting room are only partially right. As I see it, our ancestors died that we may have the right to CHOOSE to vote or not to vote, to sit in the front of the bus or the back, etc. They fought to have the restrictions that limited the Black man and woman’s right to determine for themselves. Our ancestors fought for true freedom and independence (as evidenced in the right to choose) and I think it is misleading to superimpose manipulative thoughts like these on our youth. I think our ancestors want us to do what is best for us in this day and in this time, not attempting to repeat what they did in their day and in their time. Ultimately, I feel that the political system is corrupt—very corrupt. I believe that it’s a huge illusion designed to make people believe their concerns matter when, in fact, the government will almost always carry out their agenda despite what the people want or need. It is structured in such a way that gives people a sense of hope during times they would express themselves in rebellious and even violent ways because of feelings of hopelessness and powerlessness. The way I see it, American democracy, American justice, and American politics are just ideas paraded around as realities until the government becomes so powerful, nothing can be done to stop it. In an ideal society, I would vote. It would be a legitimate way to voice one’s concerns about the state of the union and the issues that are important and relevant to elections. It would be fair and honest. Everybody’s vote would count. But sense we are not living in an ideal society, I have a dilemma: to vote or not to vote. Help me decide. Hello! I am an Election Boycotter / principled non-voter. I will not be participating in the upcoming elections. I invite readers to become Election Boycott Activists! BOYCOTT 2012! I think this article stinks. I did a lot of voter registration and convinced a lot of “principled non-voters” to register to vote. When someone tells you that they are eligible to vote and refusing to do so…. just telll them not to vote like an elephant, a donkey or a pig. Vote 4 everyone. 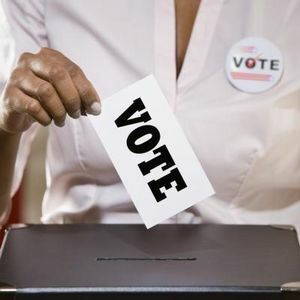 Don’t vote in your narrow self interest… but vote. It aslo helps when people see themselves as part of a voting block… we vote as students, we vote as consumers, we vote as union members, we vote as women, we vote as african americans… when people see that their vote is part of a constituancy/that’s empowering too. It would also holp if people volunteering do help other register to vote did more to solicit the opinions of non us citizens and people under 18. If we do these things more, the “principled non voters” will change their minds. Another strategy for registering a principled non voter to vote is to just ask them 5 times, “are you registered to vote at your current address?” They’ll register. I’d be interested in knowing your thoughts though on the premise of the article; which is that most voters today feel manipulated by being given two controlled choices that have proven to offer little substantive change in this country for a long time. I listened to the ‘debate’ last night and went away feeling the same as always — that the conversation in this country is tightly controlled and that those who hold the handle of power are not seen or heard by the commoners, we are picking figure heads. The major players have no accountability to us. The writer also stated very accurately that there is a lot more to participation than just voting. Possibly if people bothered to study more about this country’s history and about politics in general instead of watching brainless crap on the tube for hours on end, we’d have an electorate that couldn’t be manipulated with sloganeering and empty rhetoric. I don’t think the writer ever said he made up his mind whether he was going to sit it out or not. The combination of our Constitution and our Electoral System prevents presidential voting from carrying any meaning or significance whatsoever. It is not about this candidate or that one – or this party or that one — it is about the Constitution and the Electoral System which do not permit our vote to be our voice. We have one of the worst electoral systems in the world. The Constitution insures that the Ruling Elite (s)elects the POTUS and not the people — they never trusted us to choose. Question: Which two states do not have the winner-take-all rule regarding electoral votes? The problem isn’t with the influx of corporate money, the voting machines or central tabulators, the gerrymandered districts, the Electoral College, unequal ballot access, partisan political campaign heads being in charge of elections, or any of the more than a hundred other critical problems with the US electoral system, the problem is that the Constitution did not give us a democracy or a republic in the first place and that the popular vote not only cannot influence government policy, but doesn’t even have to be counted. If I lived in Venezuela and Chavez was on the ballot, I would vote for him. If Chavez was on the ballot here, in the US, I would boycott.